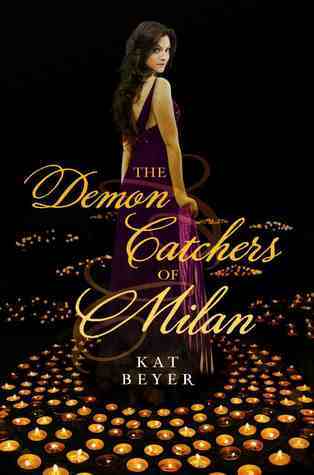 When Mia is possessed by an evil spirit, it takes three exorcisms and relatives from Milan to free her from the terrible demon. Afterwards, the long lost relatives whom she has never met convince her to come to Milan with them for her own safety. Mia must quickly study both Italian and the history of the Italian people in order to prepare herself for a life of demon hunting. Her relatives believe she is talented and can be a great asset to them as they constantly strive to free people from demon or ghost possessions. Mia has some trouble fitting in because she does not know the language, the people she is living with, or the work that they do. Slowly, her family begins to explain to her about their long history and why this particular demon wants Mia at all costs. Her frustration with being chaperoned at every turn makes Mia wish she could break away even for a few hours to explore the city. After all, how much danger can she really be in? Mia’s story is definitely unique to the young adult market today. She is physically possessed by a demon and that demon wants to come back to finish the job after her exorcism. This book is not graphic or scary, but sheds a modern light on an ancient issue. The characters are interesting, but there are many Italian relatives that can get confusing at times. While the premise is indeed intriguing, the story does lag a bit at times and the ending isn’t quite as dramatic as many readers might hope for. Still, the story itself is different enough to recommend to fantasy lovers.